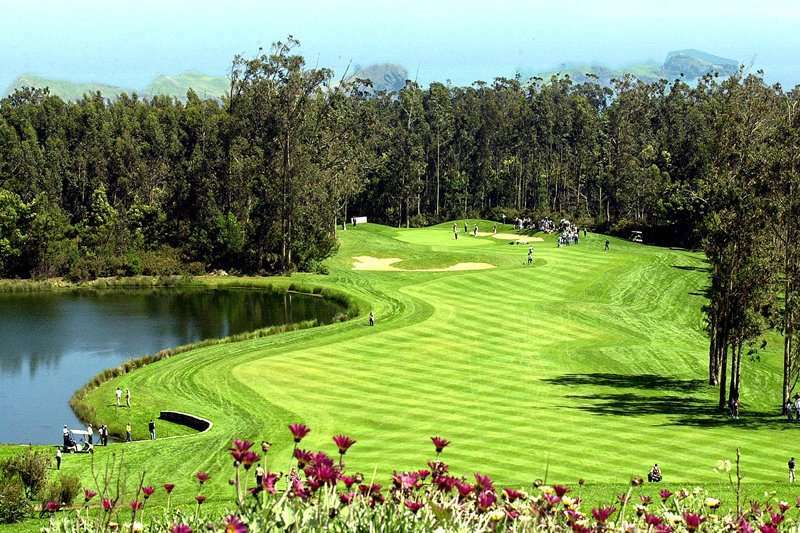 Madeira, a rocky outcrop in the Atlantic off the West African Coast, is steadily making a name for itself as an up and coming golf destination in Europe among golfers looking for something different. Golf arrived in Madeira approximately 60 years ago, and there are now 45 holes of spectacular golf on offer to golfers in search of some well-deserved winter sun. Home to stunning landscapes, must-play golf courses and luxury golf hotels, it would be fair to say that Madeira would make an excellent destination for your next golf holiday to Portugal. Off the course, you can experience the wonderful hospitality of the islanders, the famous local wines, and some of the most spectacular mountain scenery you will find in Europe. The capital, Funchal, can be explored for hours on end with its ancient streets lined with medieval architecture and quaint shops. The weather here is pleasant all-year round, making Madeira an ideal location for a golf holiday in Portugal throughout the year. For an unforgettable golf escape to Portugal, Madeira makes the perfect choice. 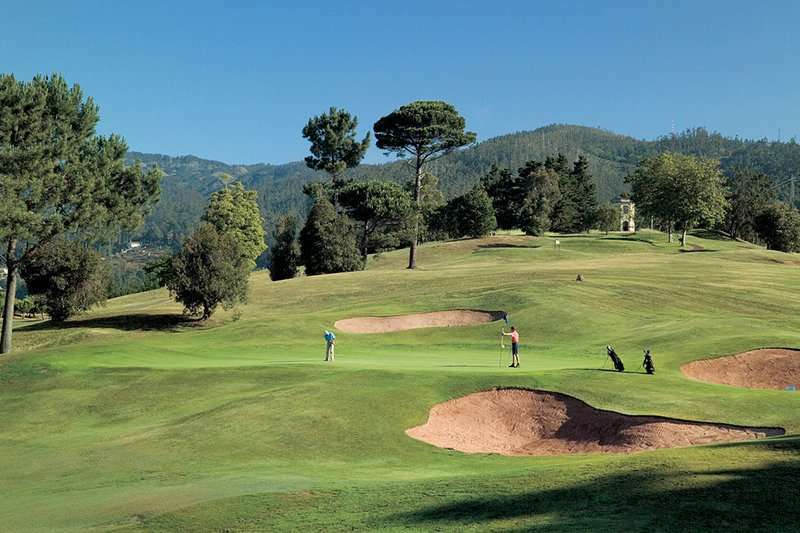 With a range of golf hotels to choose from and popular golf courses, the choice is an obvious one! 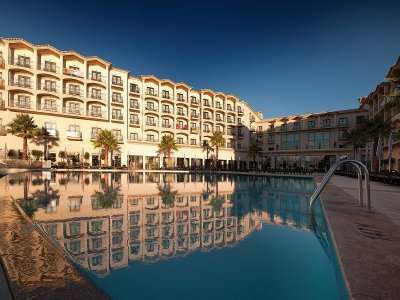 There are a wide range of fantastic golf hotels in Madeira. Pick your favourite accommodation from the options below, or click on View More to see our full range of golf resorts in Madeira. Look through our range of the best golf courses in Madeira below that will be sure to satisfy even the most demanding of golfers. If you have any specific questions about the golf courses you can visit please do get in touch. An example of a popular luxury golf resort in Madeira includes the Casa Velha do Palheiro. This 5-star luxury golf resort lies next to the famous Palheiro Gardens and boasts unbeatable spa facilities to ensure the most relaxing golf holiday to Portugal to date! Conveniently for golfers in Madeira, the Casa Velha Palheiro hotel offers direct access to the fantastic Palheiro Golf Course. 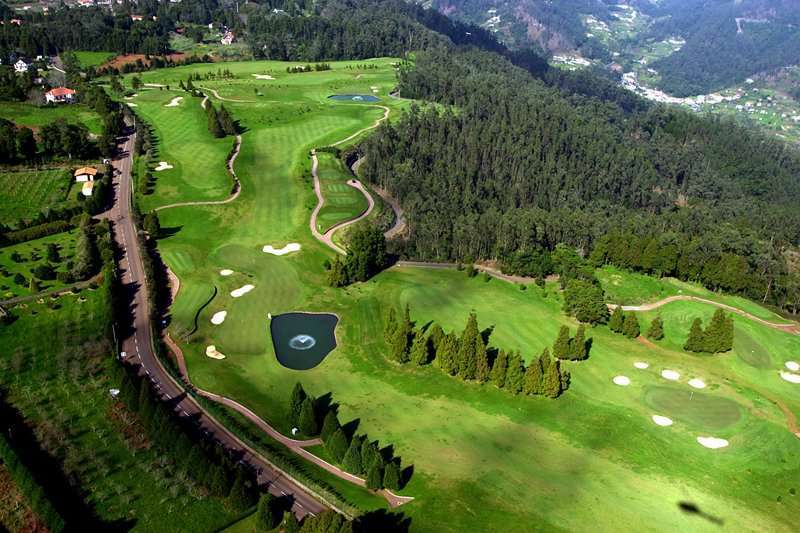 Located just a 10-minute drive from Funchal and designed by the leading golf architect Cabell Robinson, the Palheiro Golf Course is a must-play golf course on your next golf break to Madeira. Here golfers must utilise their skillset to negotiate strategically placed bunkers, raised greens and natural undulations. This popular golf course offers an invigorating challenge to golfers, despite being relatively short in length. Another luxury golf hotel in Portugal includes the Vidamar Resort Maderia, situated in an idyllic location on the beach front offering direct access. This modern resort is located in the popular region of Lido, and conveniently for guests here, there is an array of fantastic shops, bars and restaurants all within walking distance. Golfers staying here can enjoy a round on the Santo da Serra golf course, a must-play course on your next golf trip to Madeira. Designed by the famous Robert Trent Jones, a round on this excellent golf course is sure to be a highlight of your golf break in Portugal.